3 What are the Differences? 4 How to Properly Place Your Trail Camera? Are you one of those people that like to thoroughly scout an area of land before you hunt it? Years ago this used to be a very time consuming and painstaking task. That’s because you had to go to the spot several times and check the game wandering in that area yourself. With the introduction of high-quality trail cameras, this is no longer the case. 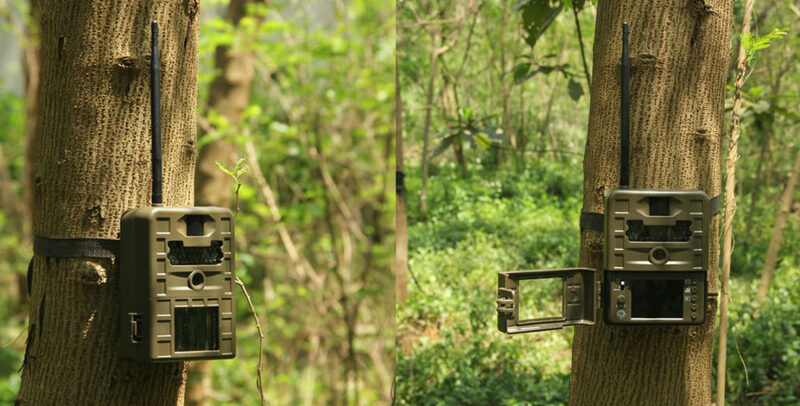 Now you can simply set one of these handy deer cameras up and leave it to scout game for you 24/7. Checking out a parcel of land for the game has never been easier if you have the best trail camera doing this task for you. In this article, we will do several game camera reviews on the best models that are in the hunting marketplace. We will also provide you with some helpful buying information and tell you more about these handy game spotting devices. 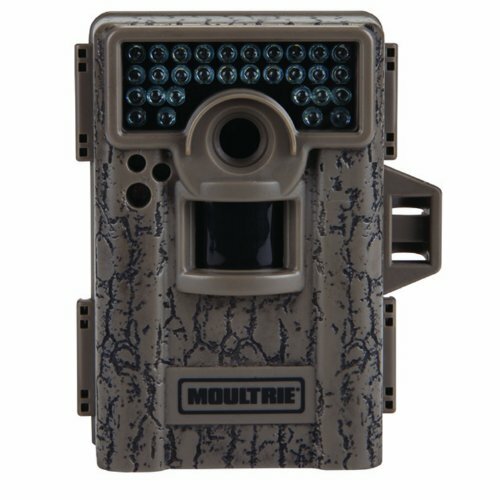 Moultrie has been a big name in trail cameras for many years now. This model will definitely make scouting an area for the game much easier. The best thing about this game camera from Moultrie is that it combines excellent resolution (12 MP) with a very fast trigger response time (0.7 sec). That means when movement is detected you will see a clear picture of what triggered that photo to be taken. 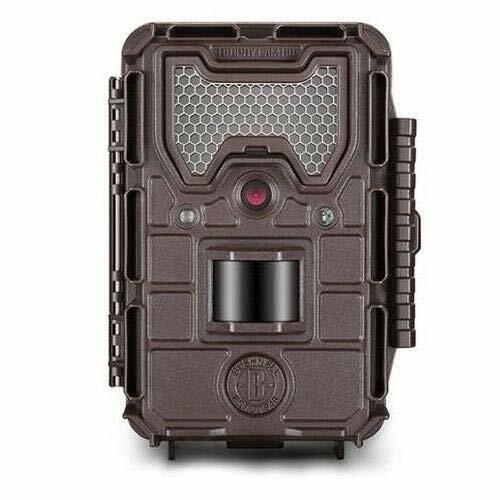 Other nice features on this trail camera include the fact it can shoot up to 15-second clips of HD video and it has a nice 60’ to 70’ range for extended area coverage. It also has great night photo taking capability thanks to its advanced ‘Illumi-night’ sensor technology and built-in 24 infrared LED’s. 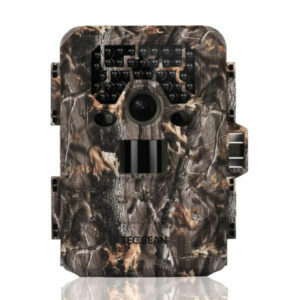 Here is a very popular game camera from Distianert. The reason it’s used by so many hunters to scout game is that of its very wide area of coverage. The way it’s designed allows it to scan out to 80’ (60’ nighttime) in front of the camera and at a very wide arcing 125° angle. That’s among the largest coverage areas you will find on any game camera. Its wide area coverage is not the only good feature it has on it either. It will also take up to 12 MP photos and shoot 1080P HD video with sound. The 2.4” easily programmable LED screen and hard to detect low-glow black LED lights for taking night images should not be overlooked either. Are you tired of only catching a very small part of an animal’s body on your trail cam? There is nothing more frustrating than to see a good size deer in a game camera photo but you can’t see its head to tell if it’s a buck. Well with this trail camera from Bushnell that should never be a problem. It has a super-fast 0.3-second trigger speed from the time its sensors detect motion. That is easily among the highest trigger speeds you will ever see find on a game camera. Not only does this Bushnell Trophy Cam have a high trigger speed but it also features 12MP photo taking and 720P video. It also has an amazing 80’ range for nighttime photo taking and it’s one of the few trail cameras you can simultaneously use live trigger and time-lapse mode at the same time. Trail cameras need to be built tough because they will be outdoors 100% of the time and exposed to some rough weather conditions. This deer camera TEC.BEAN has certainly got you covered there. It features an industrial grade plastic casing to help protect it in all kinds of weather conditions. This trail cam is one that is going to work well for you for a long time under any conditions. We also like the fact it has a programmable passcode. That means if it’s stolen it cannot be programmed and used by whoever took it. It has a very good photo (12MP) taking and video (1080P) taking quality too. Among its other top characteristics are its 75’ motion sensing range and its 36 built-in ‘no-glow’ infrared LED lights. Its 0.8-second trigger speed is very acceptable also. Are you a hunter that likes to see even the smallest details of every deer you get pictures of on your trail camera? Then high resolution is an absolute must for you. 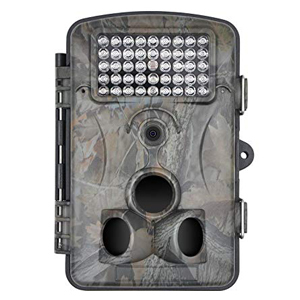 This Cuddeback model game cam has some of the highest photo resolutions you will find on one. It can take daytime photos that are up to 20 megapixels in resolution. Any higher resolution than that in you will be identifying the individual hairs on the animal this game camera takes photos of. Its resolution is really that good. The exciting features on this trail cam don’t stop there either. You can also record up to 30-seconds of HD video. It has an extended 100’ infrared flash range and its flash does not give off any light when it takes a photo for you at night. 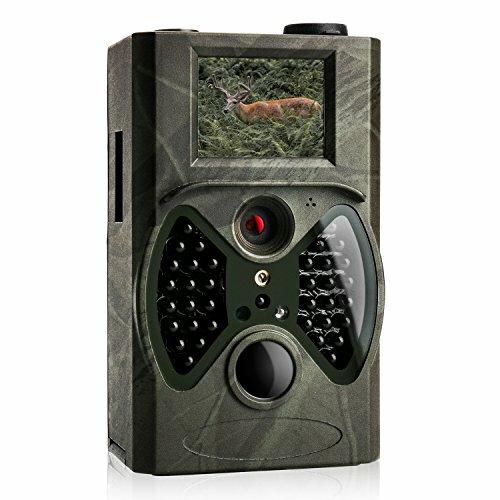 This game camera also includes a high sensitivity, low-light CMOS movement sensor, and a rapid 0.25-second trigger speed. This is definitely one of the highest quality trail cams you will find in the hunting marketplace. If you like a trail camera with exceptional trigger speed and a long nighttime flash range, then you will want to take a good look at this model game cam from browning. It features an ultra-fast 0.4-second trigger speed and a long 100’ flash range. That ensures you will get the clear nighttime game photos that you like. That’s a big bonus when scouting a potential hunting area. Everything else on this trail cam is very average but it keeps it affordable too. With it, you get decent quality 10 Megapixel still photo resolution and it also shoots 720P HD video with sound. This is also a very lightweight and compact model trail camera. 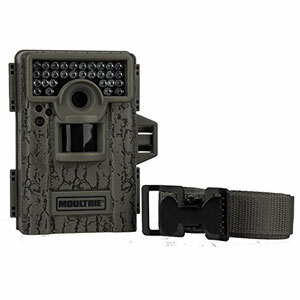 There are few companies that have the experience in making game cameras that Moultrie has. That’s why year after year they are among the best-selling trail cams you will find. 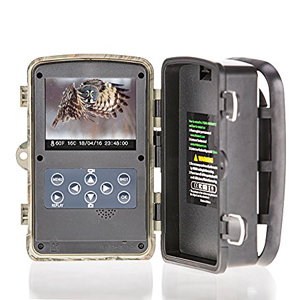 This M-880 model game cam is loaded with premier features. Among its best features is its nighttime photo taking capability. It has an ‘Illumi-night’ sensor for better nighttime photo taking and a 100’ ‘low-glow LED flash range. 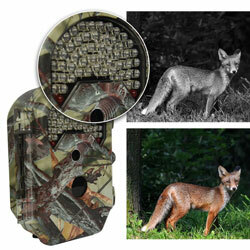 You will not miss any animal that crosses this trail camera’s path at night. It can take very good photos and video at any time of the day or night (up to 3840 x 2160 megapixel photo resolution and 720P video). It also has a built-in 2.4” LCD display screen which helps make programming and viewing your photos easy. This camera is also password protected so it’s virtually useless to anyone if they steal it. Here is a well-built trail camera that has no problem working even in the harshest weather. It will definitely get you the photos you want to see what game is repeatedly going into an area. This trail camera’s standout feature is its very sound night photo taking capability. This is accomplished through its advanced 36 pieces LED flash with no-glow infrared technology. 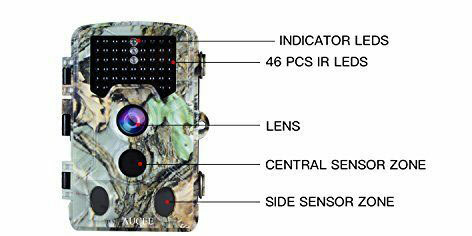 With this game camera, you will also get outstanding quality 12 MP photos out to a range of some 60’ in front of it. It also can shoot 1080P full HD video and it’s programmed by using its built-in 2” LCD display. The LCD display will also allow you to view the photos and video this cam has taken without the need to have a computer with you. 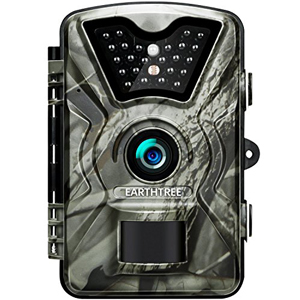 This Earthtree game camera is easily among the best ones you will find on our list of trail camera reviews. That is because it has some of the most versatile video taking capability you will find on any game cam. You can set its very good 1080P video to be taken in time-lapse mode, at set intervals or in sensor activated 30-second bursts. If you like to take more video than photos with your trail came this one should get strong consideration from you. 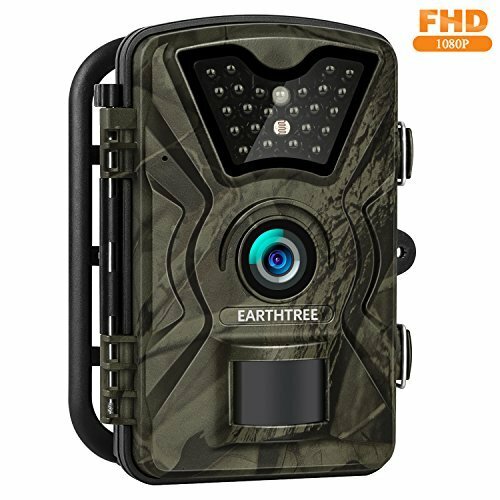 Other nice features on this Earthtree trail cam include its ability to take crystal clear 12MP photos, its 60’ photo-taking range and its 24 infrared LED flash for nighttime photo taking. It also has an outstanding 0.5-second trigger activation time motion from the moment movement is sensed in front of the camera. This is one of the smallest and lightest game cameras you can buy. That means if you like to set up several game cameras at once several of these in your backpack won’t slow you down. They weigh less than 1pound each and are ultra-compact at 5.2” x 3.5” x 2.9”. This smaller trail cam is also very easy to program and set up thanks to its built-in 2.4” LCD screen. They also offer you high-quality video and still photon taking. 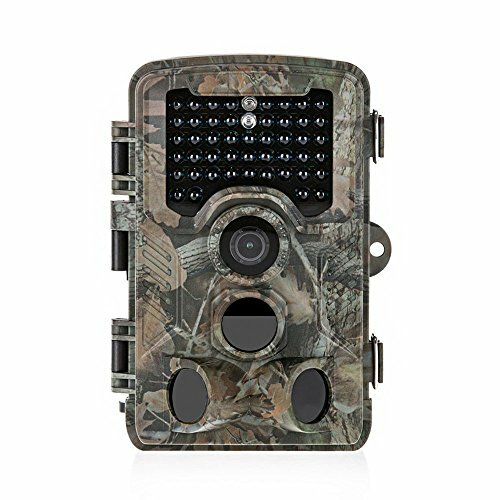 The 12MP photos and 1080P video this Xikezan trail camera takes will help you easily identify any game that’s roaming in an area. It can take photo and video out to a 50’ to 60’ range and it senses and takes photos in a wide 120° angle too. Here is a very well-made all around trail camera from AUCEE. They have done a nice job with its design. Almost every feature on it is of above average quality. An example of this is its photo and video resolution. It takes high-quality photos that can be up to 16 megapixels in resolution and it can also take short bursts of 1080P HD video. That is some very outstanding photo and video resolution to get you the important information you need on game animals near your trail cam setup. With this deer camera, you will also benefit from its 65’ motion sensor detection range and quick 0.6-second trigger speed once motion has been detected in front of it. 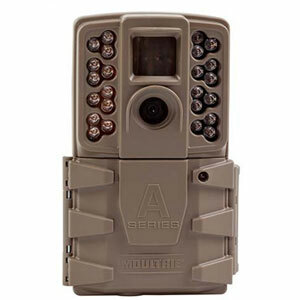 This AUCEE game camera also has low-glow infrared LEDs and a nice wide 120°viewing angle. This is a very impressive game camera to say the least. It offers those that buy it a great blend of affordable pricing and high performance. That makes it one of our favorite trail cam models. We especially like its nighttime photo taking ability. It has a 65’ nighttime photo-taking range that generates clear photos thanks to its very well-designed 42 infrared LED flash setup. It also has a very wide angle movement sensing capability. This trail camera will detect moving objects in a wide 120° arc as they cross its path. The Crenova Game & Trail Hunting Camera has a very good 0.6-second trigger speed too. 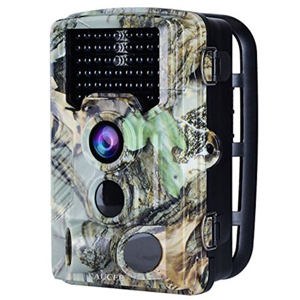 Add in 12MP photo resolution and 1080P video and you have a great deer camera buy here. 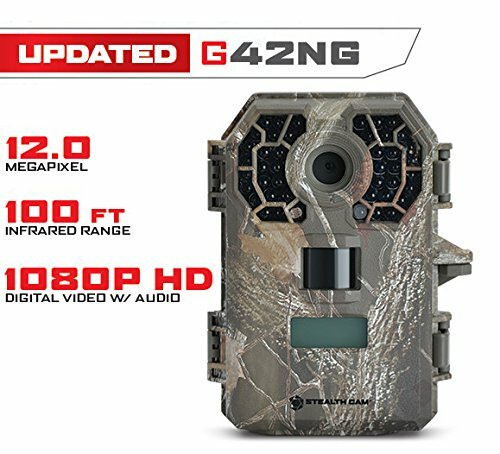 CamKing seems to be very aptly named because their game camera units are among the best sellers in the hunting marketplace each year. They are design innovators whose products are priced reasonably too. 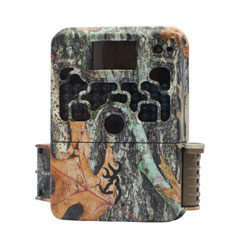 This CamKing HD Game & Trail Hunting Camera is a great example of the effort they put into their trail camera designs. It features very high quality 16 Megapixel photo taking and 1080P HD video capability. There are other very good features built into it this deer camera also. It has a 65’ motion-sensing capability and some 40 LED built-in black infrared flash. The trigger speed on it is a very efficient 0.6 seconds. It can be easily programmed, thanks to its included 2.0” interior LCD display screen. This game camera is also password protected to help deter thieves from stealing it. If you are going to buy a trail cam based solely on a company’s reputation than you will find no stronger name in the industry than Stealth Cam. They are consistently among the top-rated game camera models year after year. This deer camera model from them has much to offer those that use it. You won’t miss a shot thanks to its superior 100’ motion sensor range and its nearly instantaneous trigger speed of 0.5 seconds. This camera takes some very good quality videos and photos too. With it, you can take up to 10MP resolution photos and it also offers you the ability to shoot 5 – 180-second bursts of HD video. There are 42 built-in black infrared LED’s to help with your nighttime photo taking needs too. It even has a built-in greenscreen display to make programming it very simple. Don’t be fooled by the name here. 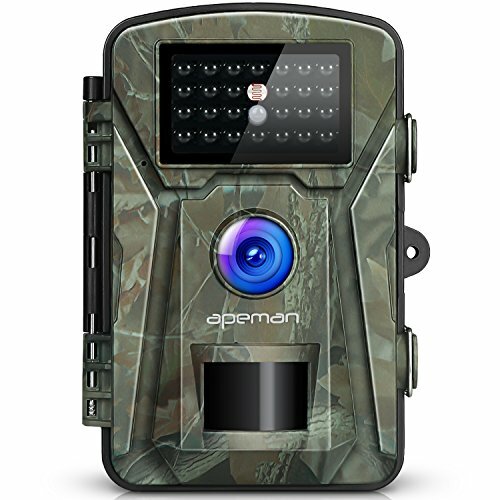 The name ‘APEMAN’ may be a little crazy for a trail camera company but they make among the best game cameras you can buy for scouting hunting areas. 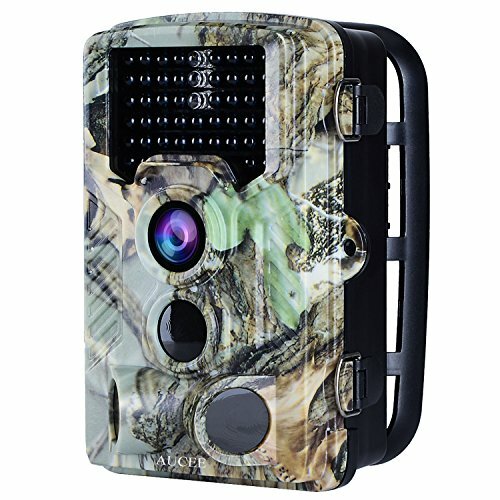 This one has everything you would want in a trail camera starting with its built-in 2.4” LCD display. That makes it easy to program and lets you view the photos and videos you take with it without needing to hook up to a smart tablet or laptop. Other outstanding features you get with it are its 12MP photo resolution and its very good quality 1080P HD video. It also has a 60’ day and nighttime movement sensing range. 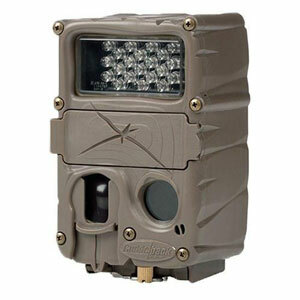 It features a bright 26 LED IR flash and it can be programmed to take multi-photo bursts. Its 0.5-second trigger speed is also very impressive. Here are the most important aspects of a trail camera to consider when you are shopping for a new one. It must be noted that some categories have more than one characteristic to look at under them. Of course, the main purpose of any trail camera is to get clear photos so you can tell what type of game animals are found in a certain area to determine whether you want to hunt there or not. Of course, you will need good clarity in your game camera photos and this is determined by a camera’s resolution. Resolution on a trail camera is stated in megapixels (MP) just like on any personal camera. For a trail camera to be effective and take clear photos it should be rated 8 megapixels or above in resolution. The higher the MP number the more detail you will get in a particular game camera’s photos. If you want to thoroughly scout an area of woods or field for the potential game to hunt you better get a camera that has both day and nighttime photo taking ability. 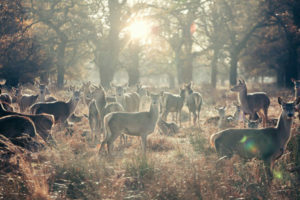 That’s because many animals like deer are very active at night and it’s the best time to get pictures of them. The best trail cameras not only take clear photos with them but they will also give you several photo taking options. Some handy taking photo features besides standard motion sensing photos include multiple photo burst mode, time-lapse photography and programmed shot interval times. These days you will be hard-pressed to find a trail cam that does not have the ability to take short bursts of video too. Most video on deer cameras is limited to daytime imaging. Here are the key characteristics to consider as far as taking video streams with a game camera goes. Just as with the photo side of a trail camera, video resolution is shown in the number of pixels but it reads a little differently. The number stated for video resolution (example: 1080P) represents the number of pixels on the vertical axis of the video you take. The letter after the number indicates how your video images are ‘painted’ onto tour TV or computer screen (P = higher quality progressive scan and I = Interlacing scan). Just like when you are in photo mode, it’s nice to have video taking options with your deer cam too. To conserve battery life most videos on a trail cam are shot in 5 to 180-second streams. You should be able to choose this amount of time yourself. More sophisticated game cameras will also have a mode where it will automatically take a quick video right after it snaps a few photos. That is a really handy feature for seeing what is lurking in the area you place your trail camera. It’s very important for your trail camera to have its motion sensor activated when an animal approaches within a reasonable distance from your trail camera. After all, not every animal that is in the area of your deer camera will be up close to it. This is simply how far out in front of your game camera an animal has to be to activate its motion sensor to trigger its image taking. It should be somewhat similar to the range your trail camera can take clear photos at. The best game cameras will usually have their motion sensors activated when a moving object is detected within 50’ or more out in front of the camera. This is how far to either side of your trail camera an animal has to come to trigger it to capture a photo of whatever is moving. Moving is a key word here because the quicker your game camera picks up movement from the side the better chance you have of taking a photo of the whole animal or whatever caused the movement that triggered a snapshot. Animals don’t stand still and pose for photos very often. Not only does your game camera have to sense movement as soon as possible but it also has to trigger your trail cam to take a photo as soon as possible after that movement is detected. This is commonly known as your cameras trigger speed. The faster a deer camera’s trigger speed the more likely you are to see the whole animal or another moving object whose movement activated the motion sensor. These days trigger speeds are usually faster than what a human can react to and take a photo with a handheld camera. Look for a game camera with a trigger speed of ‘less than a second’ to capture the whole animal that activated the motion sensor. The best trail cameras will have trigger speeds that are 0.6 seconds or better. You certainly don’t want to scare away any animals that are moving around your trail camera by lighting the area with a bright flash. That’s why most really good game cameras use more subdued styles of nighttime flash setups. Here are the most common types of nighttime flash setups that are built into trail cameras. This is the best type of nighttime flash setup on a game camera if you don’t want your flash to emit any light. It’s virtually undetectable by both humans and animals. This type of nighttime flash is limited to black and white photo taking only. It’s a nighttime flash setup that also adds some additional cost to any trail camera it’s used in. Here is a very low-light emitting flash. Although it can be seen by both humans and animals when this type of setup flashes, it’s usually not enough to scare an animal away. It’s used as a lower cost alternative to no-glow flash setups. This type of game camera nighttime flash also limits you to black and white photos only. This nighttime trail camera flash setup does not need much of an explanation. It is the same bright white flash that a regular camera uses. A white flash will often scare game away so you don’t get a second shot. It does help keep the cost of a game camera down. More detailed descriptions of these types of game camera flashes will follow after the buying guide. One big advance in game cameras has been the addition of LCD displays being embedded into them. This helps in several different ways. 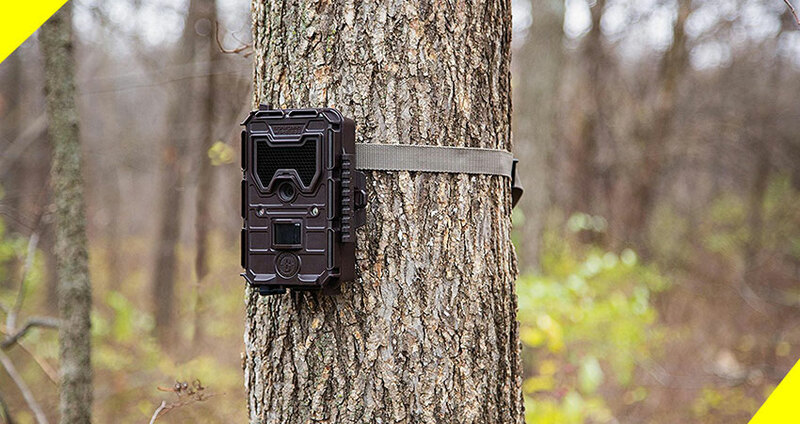 For one, you no longer have to bring a viewing device with you to the trail cam site or remove your SD card and take it back to your home to view the photos and videos your deer camera took. You can simply view them with the LCD display (these are usually somewhere between 2.0” – 2.4” display screens). Built-in displays will usually help simplify choosing and programming your game camera settings too. The more ways you can mount your trail camera the better. You want this process to be as hassle-free as possible. There is usually one of three different ways you can mount a game camera. One is with an included strap system, another is tripod mounting and the last is permanent mounting. The more included setup choices you have the more versatile your deer camera becomes. Trail cameras can be somewhat difficult to program. Before you buy any model game camera try to go online and get as much information as you can and of course download a copy of the user’s manual. This will give you a good idea of how easy or difficult that particular deer camera is to set up. By far the easiest trail cameras to set up and program are the ones that have a green screen or LCD display built right into them. These days’ game cameras come in all different shapes and sizes. The big trend is to make them smaller and more compact without sacrificing performance. We all like smaller camera sizes because they are easy to haul, set up and relocate. They are also harder for potential thieves to spot. Weight is not a huge consideration for which game camera you will buy. Most of them are pretty light, to begin with. The exception here is if you like to take a bunch of them in your backpack at one time so you can set them up in different places out in the field. Then, of course, the lighter your trail cameras are the better. Most trail cameras simply use AA batteries to power them. There are some exceptions. How they differ is how quickly this battery power is used up. Make sure you know how long the batteries will last on any game camera you are thinking about buying. Some of this will have to do with how you program them too (taking video uses more battery than taking photos). Reading reviews on different trail cameras will help keep you informed here. Without a doubt, your trail camera is going to be subject to extreme weather conditions in one way or another. It may be heat, cold temps or moisture. That is why you need to buy a camera that is waterproof/water resistant, made of tough polymer type material and is sealed well all the way around it. Before you buy a game camera make sure you know what is built into it to help it survive the elements it will be exposed too. Believe it or not trail cameras have a way of disappearing even if you place them on private property. Fortunately, there are a few ways you can protect your game camera investment. One is to look for a game camera you can protect with a password. This makes it useless to anyone who steals it that does not know the passcode. Your trail camera should also have places built-into it that make it able to be locked around a tree and have its inner compartment access door locked shut too. Check to see what extras are included with any trail camera you are thinking about purchasing. Most game cameras need such things as batteries and SD cards to work them but are not included. It’s a nice little bonus when a deer cam comes with such extras included as permanent mounting plate hardware, an SD card, and batteries. It’s no secret that if you place your trail camera outdoors it is going to be subject to some inclement weather and temperature extremes. Even the best-built game cameras can have manufacturing flaws that show up over time too. That’s why you should get the best warranty you can on any trail cam that you purchase. The longer and more inclusive your trail camera warranty is the better. A warranty is also a good way to make a final buying decision between two similar game cameras that you like. Warranty length is also a very good indication sometimes of how well a manufacturer thinks their deer camera is built. Does the trail cam you buy have to have all of the things mentioned in this buying guide? The answer to that is no. as a matter of fact, you will most likely not find a game camera with everything on this list in the marketplace. You will find as you read reviews that most trail cameras will have some version of most of these characteristics but concentrate on being strong in a certain area of trail cam photo or video taking. It’s up to you to decide what the most important features are for you on any game camera that you will buy. One thing is for sure. The more features your trail camera checks off on the above list the better that game camera will probably work for you. As you well know most game animals are more active during the nighttime than they are in the day. That means you better have pretty good nighttime photo taking capability on any game camera model you buy. One of the most important aspects of your trail camera’s nighttime photo taking capability is its flash. Many people believe that all game cameras have the same night flash capability but that’s entirely not true. As was mentioned before, this type of game camera flash cannot be seen by humans or animals. That means you don’t have to worry about scaring animals away with it when your deer camera takes photos for you. That is what makes it appealing to many hunters that scout for the game with their trail camera. Most people assume that because a black infrared setup has no flash it’s the best one to use when taking nighttime photos with your trail cam but this is not true for all situations. It does not have as long a flash range as cameras equipped with low-glow and white flashes. So if you want more distance you should choose a trail cam with low-glow flash capability. Game cameras that are equipped with no-glow flash mechanisms are excellent to use as security cameras around your home or business too. 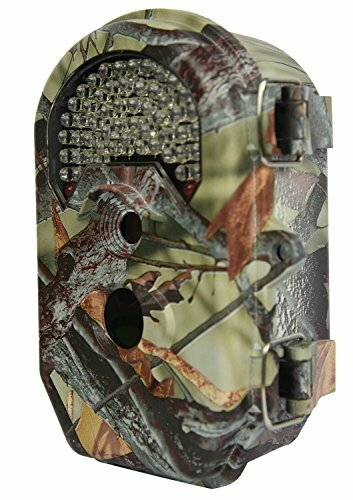 Many people have solved vandalism and burglary problems by using these trail cameras with an undetectable flash. Despite the fact that you cannot see this type of game camera flash it still allows you to take high-quality nighttime photos. They will be limited to black and white photos only though. Another drawback with this type of trail camera flash is it adds some extra expense to game cameras that use this flash technology. This type of trail camera flash appears as a faint red glow when flashing. It very rarely scares an animal into running. The human eye can detect this flash if looking anywhere near the game camera when it goes off. 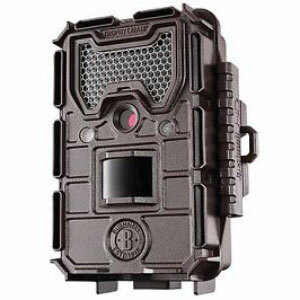 Trail cameras that have this type of flash technology usually cost less than those with blackout flash technology. It too only produces black and white images but the quality of them is usually very good. One nice thing about them is the images taken with a low-glow flash show objects at greater distances and the image quality is slightly higher than no-glow trail camera flashes. 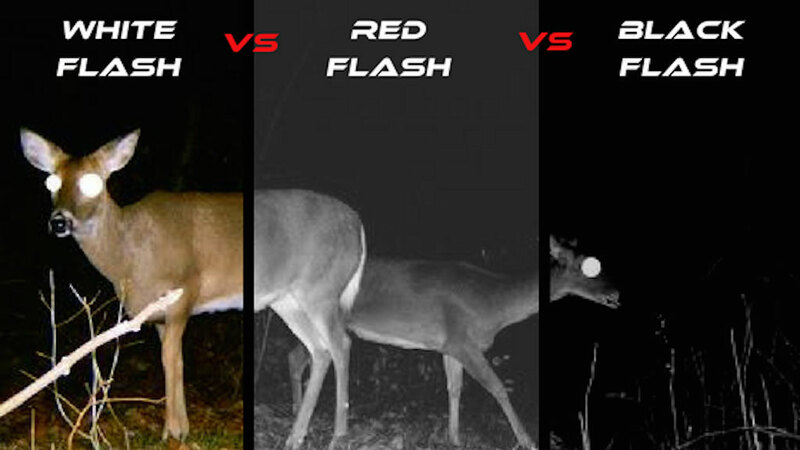 Trail cameras with red-glow flash also tend to cost a little less than their no-glow counterparts too. They are actually slightly more popular among deer hunters scouting for the game than trail cameras that are no-glow flash equipped. 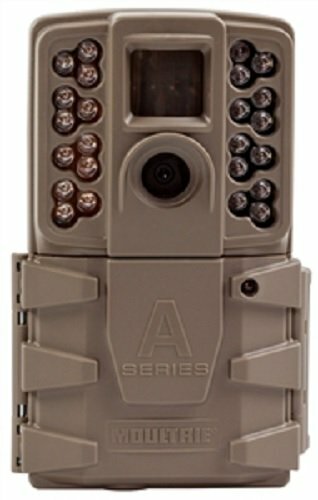 If you want only one photo of a deer or other animal before it runs then this is the type of game camera you should use. A white-flash trail camera is pretty much guaranteed to spook any animal in the area into running. It’s by far the biggest disadvantage with this type of game camera flash. There are also some big advantages you get when using a white flash on a trail camera at night. One is they project their light out a very far distance. 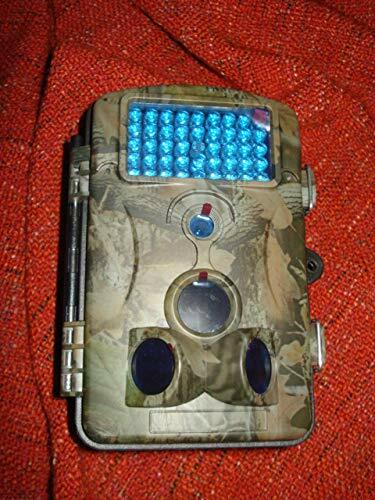 They also are the only nighttime trail camera flash that produces colored photos; that is why they are often used by people who study tags and markings on wildlife in an area. Nighttime photo quality, when taken with a white flash, is very good. Game cameras with this type of flash also tend to be a little less expensive than those with the other two types of trail camera flash systems. 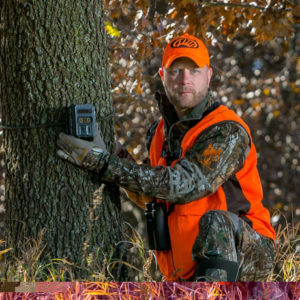 How to Properly Place Your Trail Camera? One of the most important parts of getting the most out of using your trail camera to spot game is to get it positioned correctly. Many people do such things as trying to slightly conceal them. Don’t worry if the deer see it they won’t run. Of course that’s a joke but still, put it out in the open where you can take full advantage of your trail camera’s excellent day and nighttime photo taking capabilities. You will also get a lot of photos of blowing leaves if you put your trail cam near where there are many branches. What is the ideal height to place your game camera at? There are a few differing opinions on this but let us tell you the consensus opinion here. Most of us here prefer to set them about 3 to 5 feet in the air but there is no right or wrong way as long as your trail cam gets the area you want to scout. We have seen them placed as high as 7’ and as long as they are angled slightly downward (place something like a small piece of wood near the top of the game camera before you strap it) that will work fine too. It all basically comes down to common sense in placement and what you are trying to capture on your trail camera. Take a few test shots once you deer camera is placed to make sure you are getting the shots of photo and video you want from it. Question: What does your expert team of reviewers feel is the best trail camera under 100 dollars? Answer: We would have to say that it’s one that we reviewed above. 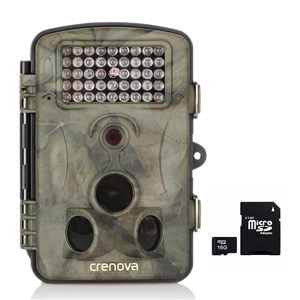 All of us here really like the Crenova 12MP 1080P HD Game & Trail Hunting Camera. It has many features that you would only expect to find on a much higher priced game camera. You have to like things about it like its 65’ night photo taking range with its 42 piece low-glow infrared LEDs. It has a very wide viewing range (120° angle) and an easily programmable 2.4″ LCD Display too. This trail camera has a fast 0.6 second trigger time and it’s one of the few cameras that comes with its own SD card (16GB). You get all of that in a game camera that’s less than $100. Wow!! Question: What is a good amount of memory to have on an SD card for a game cam? Answer: It’s true that very few game cameras come with the required SD card. It’s a strange trend from the manufacturers of these devices, to say the least. So that leaves you on your own to choose the right SD card. Most trail cams can hold up to a 32MB SD card. The best advice we can give you is to get a card that has the highest amount of memory your game camera will accept. What is the reason for that? Because if you have a smaller SD card the memory will get used up faster and you will have to go to the camera and check it more often. This is especially true if you take a lot of video with your game camera. 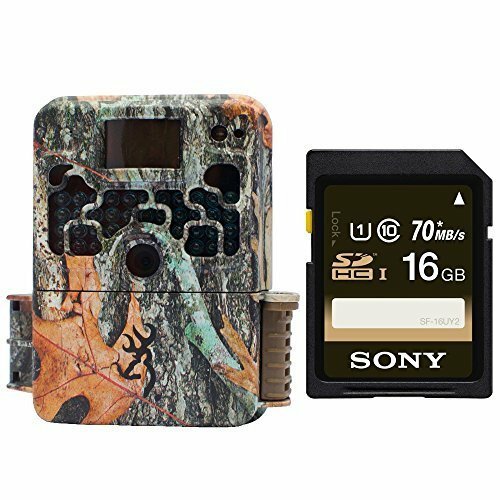 We never recommend anyone getting an SD card for their trail camera that has less than 16MB. Question: Any other tips you can give us on game camera placement beside the height to place them at? Answer: Interesting question. There are two things that many of us here have noticed when placing game cameras. The first is they work better when facing north or south. When facing east and west the sun seems to make them do some funny things at times. The other thing is that false movement photos and videos can really eat up your game cameras batteries in a hurry. So take a machete or saw and really clear out the branches and leaves from around where you place your trail camera. This will eliminate the game camera taking many photos and videos because of windblown foliage. Question: I am tired of going out into the field and changing my trail cam batteries so often. I like to shoot a lot of video with my game camera but it’s getting frustrating changing the batteries so frequently. Is there any solution to this problem? Answer: To be honest yes. Most game cameras come with a built-in 9V or 12V power plug. Although you most likely will not have an electrical outlet nearby where you place your trail cam all is not lost. A few of us here have our trail cams set up so they run off of solar power and it works great. It takes a little to do the initial setup but after that no worries at all. Consult your individual trail camera manufacturer’s owner’s manual and it should have instructions on how to hook it up to solar power. If not call their customer service hotline for details. There is absolutely no doubt about it. Using a trail camera to scout for the game in an area is a huge time saver. It will also get you all the pertinent information you need on the game that roams around near where you place your game camera. Hunters have been using them to their advantage for several years now. Those of us here that use them have never been more successful with our recent deer hunting than ever before. 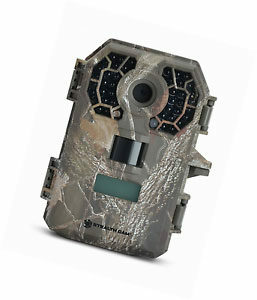 In this website, we have reviewed Cuddeback, Bushnell, Browning, Wildgame, Moultrie and Stealth Cam Game Cameras. If none of those deer cameras we reviewed suits your taste then write us to for review to help you select a game camera that adequately meets your game scouting needs. Either way, once you start using one of the best trail cameras you should see a big improvement in your deer hunting success rate.